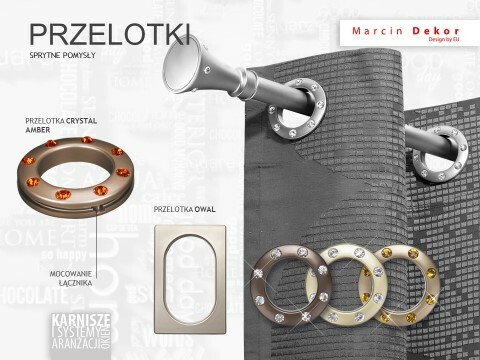 Marcin Dekor offers a wide range of patterns and colours of EYELETS. There are many types of EYELETS available on the Polish market, which are also called Dekorings. The internal diameter of the most popular type of eyelet is 33mm. In case of smaller curtain rods or curtain wires we also offer eyelets with internal diameter of 22mm and 28mm. Nowadays the interior decorators choose more sophisticated shapes –they use square, triangle, oval eyelets or even eyelets with crystal ornaments. These elements are no longer only functional solution, but they serve as enhancement of the decoration’s character. Magnetic clips are an effective detail allowing for creation of a more original arrangement quickly and easily. Thanks to a well-thought-out mechanism based on two strong, yet small magnets, the two elements are connected. What is important, we avoid the risk of punching, folding or wearing through the fabric. The connection is stable, but it is as easy to disconnect the magnets as it is to connect them –it is enough to move the two elements in relation to each other so that the magnets stopped touching each other. 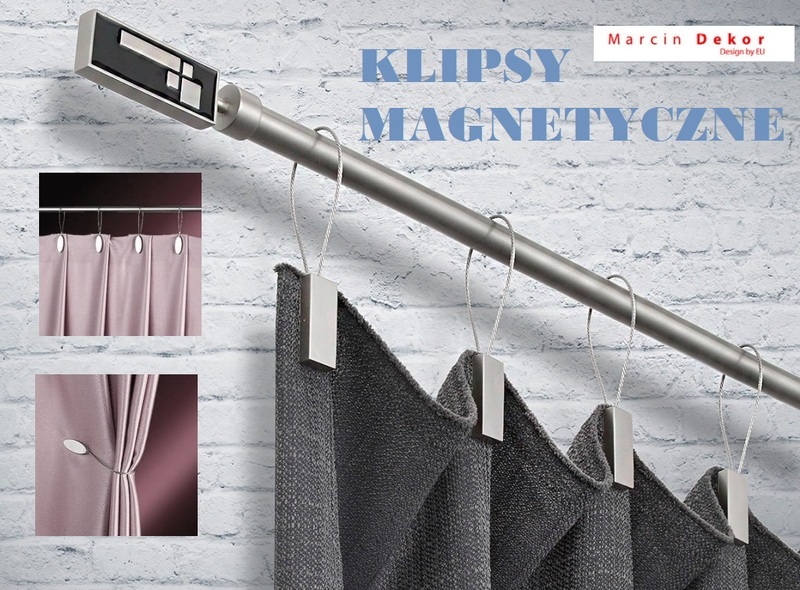 We may chose from two variants of clips: with a short cord –as an elements used for hanging the curtains/net curtains, or with a long cord to tie up the curtains/net curtains. Arrangement buckles are an ideal way to achieve unrepeatable arrangements of curtains and net curtains. Company’s offer includes buckles s in geometric shapes, openworks and buckles decorated with crystal ornaments. They are made of plastic what makes them light enough not to slide down from the curtains. Decorative Clips KOBRA and CYLIDER. The charm of this little, yet so important detail lies in its simplicity, delicate elegance and exceptional ease of application. Multiple ways in which you may use them make them an indispensable tool for those who want to create their own arrangements. Significantly, the effect is immediate and the speed with which you may form different arrangements allows you to create new compositions even just before you welcome your guests.